Emily Owen's memoir of overcoming Neurofibromatosis Type 2 tells of struggle, loss, and the ways faith helps us persevere. Want a memoir of fighting for life? Emily Owen was a multi talented teenager with the world at her feet. Highly intelligent, athletic and a gifted musician, she was destined to excel in whichever field she chose to pursue. At the age of 16, Emily was diagnosed with Neurofibromatosis Type 2 (NF2) and less than a month later, she was in hospital and fighting for her life. Over the coming years, NF2 would steal her education, her smile, her hearing, her ability to walk. With her life plans in ruins, Emily struggled to find meaning and identity. Good things in her life weren't good any more. Because they were no longer there. With gentle humour and heart-breaking honesty, Emily shares her story. Slowly and painfully, she discovers value in new places, seeing the rainbows in the silence. Still Emily by Emily Owen was published by Malcolm Down Publisher in May 2016 and is our 7101st best seller. The ISBN for Still Emily is 9781910786437. A beautifully written inspirational book. I couldn't put this book down, highly recommend it. I recently finished reading "Still Emily" by Emily Owen and I have to say it's in my top ten books I've ever read. Emily was diagnosed at the age of sixteen with NF2 (Neurofibromatosis Type 2) of which I knew nothing about until I read her book. It is a really terrible illness which has robbed her (and her family) of so much. And yet, Emily never gives in to it. She doesn't let it rob her of her faith in God. Neither does she allow it to define who she is. Her faith and her identity as a child of God shine through and she is still the same person she was before her diagnosis. I think there are two reasons why she is able to overcome such hard struggles. First, because of her faith in God which she was grounded in from a young age, having been brought up in a Christian home. Secondly, she has the love and support of an amazing family. After her first operation, something went wrong and her parents were told that Emily may not survive what the doctors think was a stroke in her brainstem. Emily writes that her parents "were confronted, unwillingly, with a decision that no one should ever have to face: what would they say if asked to turn off life support? They faced a literal life and death decision. And yet they knew that, at the same time, it was a death to life decision. From death to never-ending life with God who, through seventeen years, I had learned to trust. So, through their heartache, they agreed that if necessary, they would say 'yes'." I can't imagine having to make that decision for anyone I loved, let alone a child of mine. Emily did not die that day, but she did need to relearn how to do everything again, even something as basic to us as breathing. Neither was that the only operation she would need. She has had over twenty operations since 1996 to remove tumours not just on her brain but elsewhere on her body too. In her book, Emily writes how NF2 took away her hopes and dreams for her life and she went through a time of questioning whether God would bother with her now. However, God showed her she was still important to him and he has given her new plans and purpose for her life. Now she is able to write and speak about her experiences and her faith, and all for his glory. I believe that she has probably reached and will continue to reach more people than she would have done had it not been for having to live with NF2. Emily shares openly and honestly about herself and the challenges she has faced. Her book shows us her courage to overcome them, her faith in God and how he enables her to live victoriously for him. There are so many more examples I could tell you about but the best thing you can do is read the book for yourself. "Still Emily" is a book which has blessed and encouraged me in my own journey of faith. I really recommend that you read it too. We all face struggles and difficulties in life, they may not be the same as Emily has faced, but life is undoubtedly hard for each one of us at times. I am sure this book will help you to realise that you are not alone and that God is with you too and it will strengthen your faith in him. 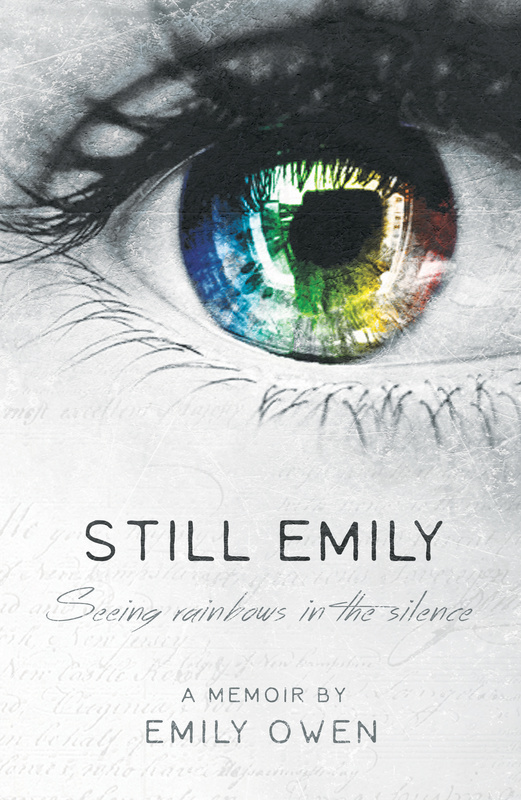 Take a peek at some articles related to Still Emily. Got a question? No problem! Just click here to ask us about Still Emily.